One of the things I love about steampunk is that you can be very creative with it. Take a look at this guy’s wings. 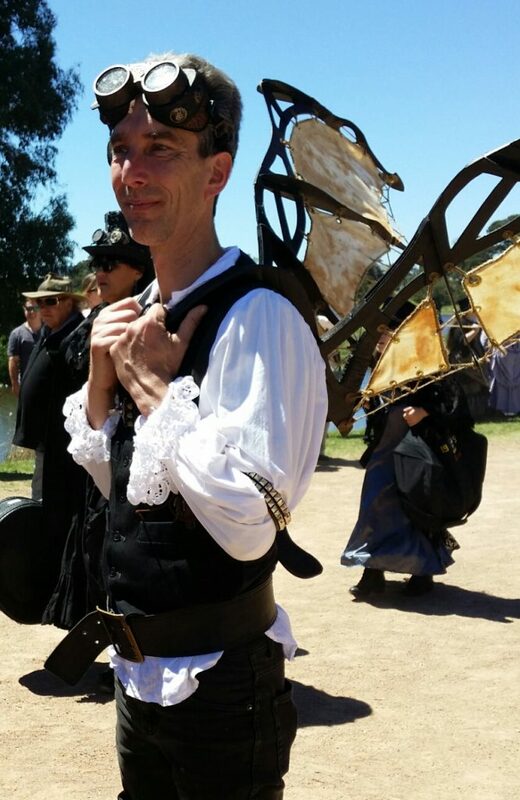 I took this photo at last year’s Goulburn Steampunk Fair. CLICK HERE to see more creative props from the fair. « Old girls Can Wear Cool Clothes too!